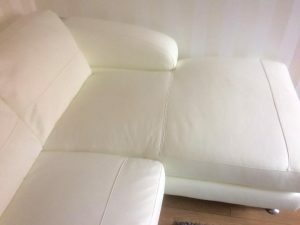 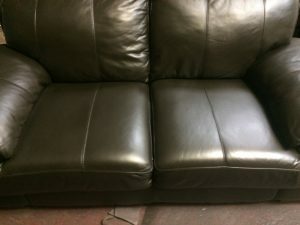 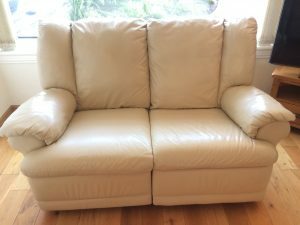 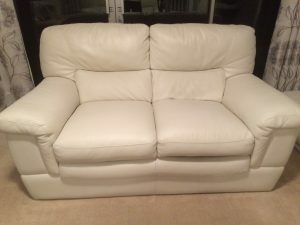 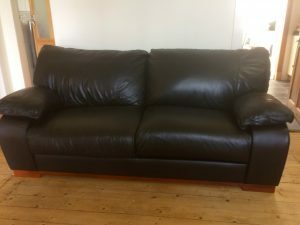 Some before and after pictures of this Leather Sofa Repairs Stepps, Glasgow. 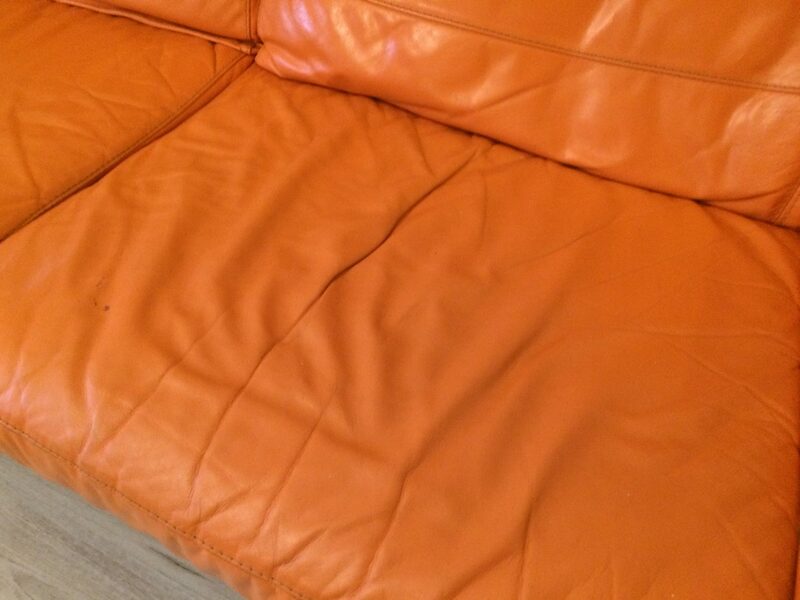 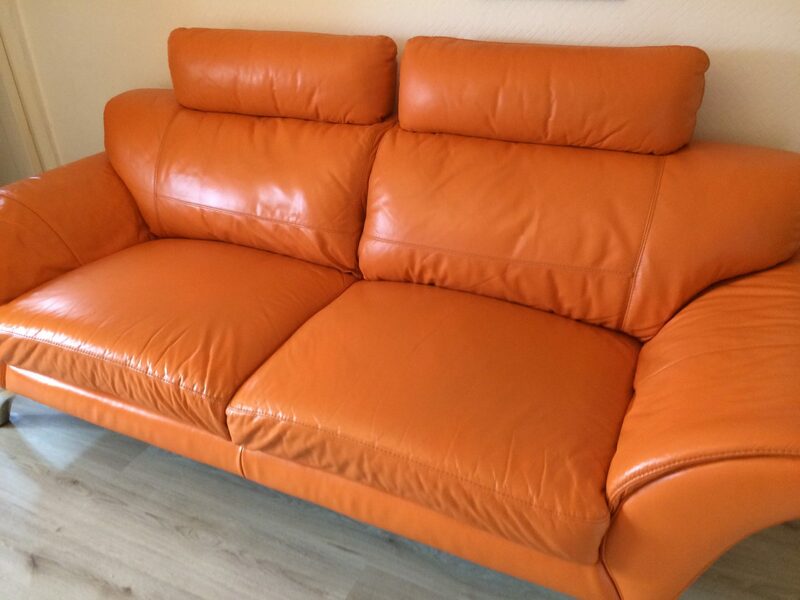 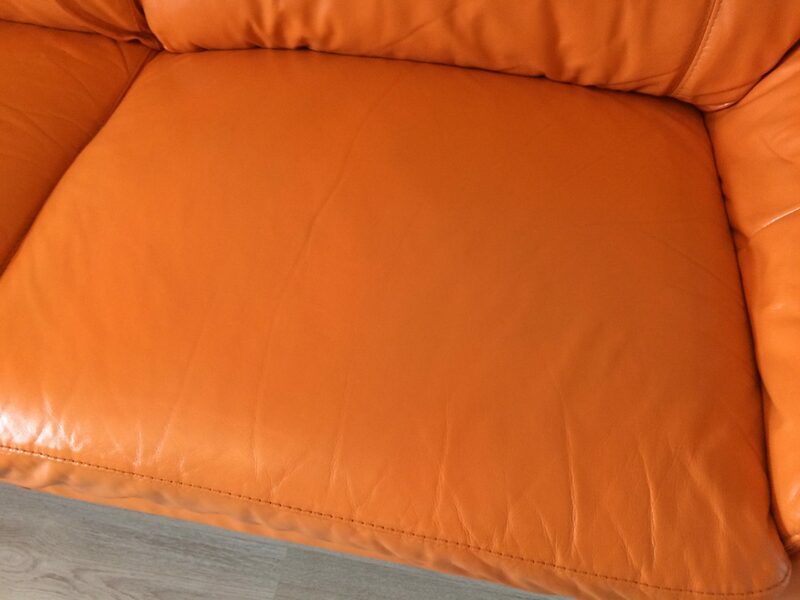 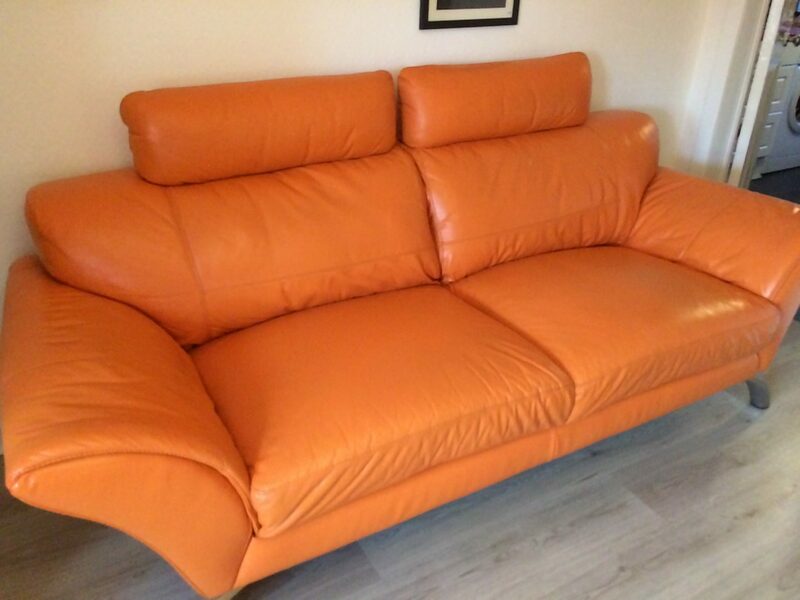 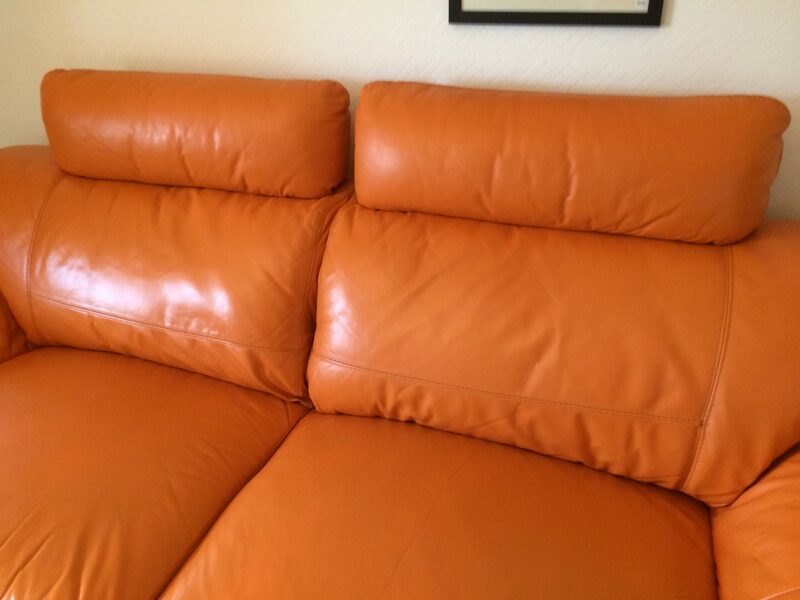 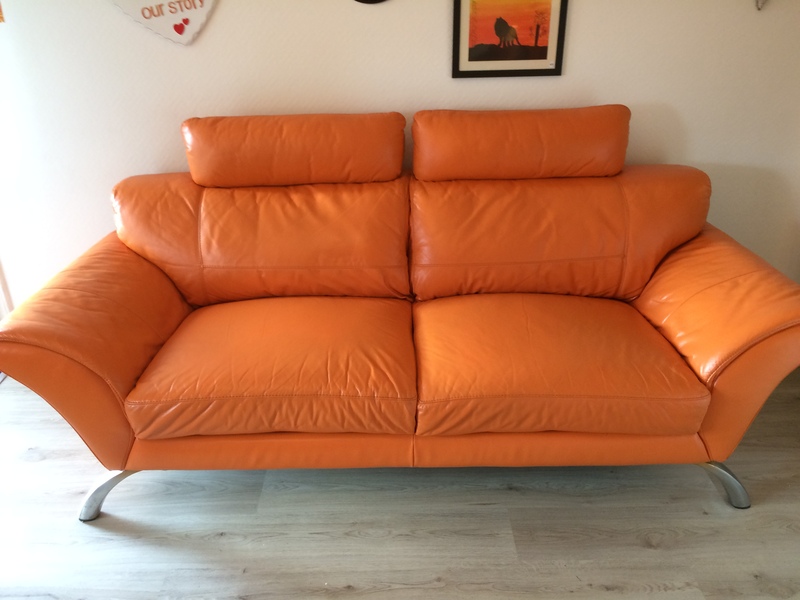 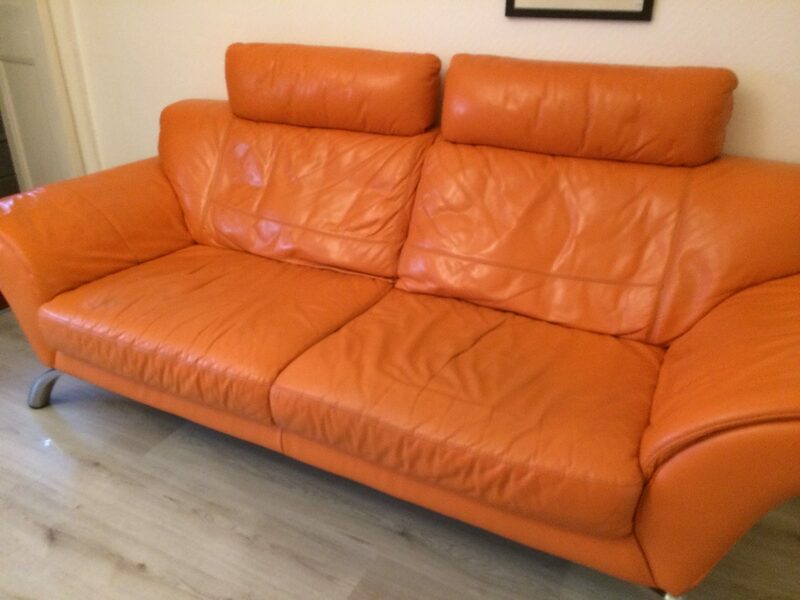 It was a full refurbishment which included cushions packed, deep cleaned, some scuffs and marks on the leather fixed and new leather finish on this Bright Orange Sofa. 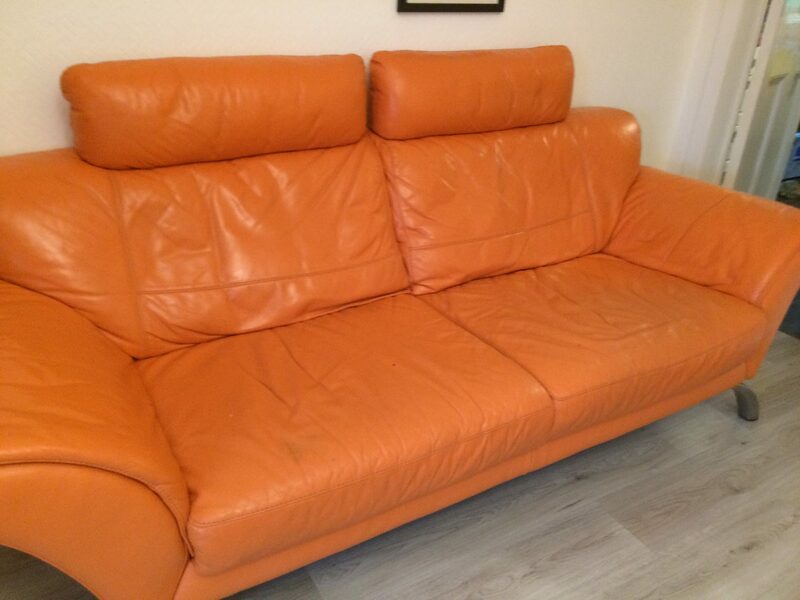 The colour was a bit tricky to get the exact shade of orange but we got there eventually..The wee sofa in looking like new again. 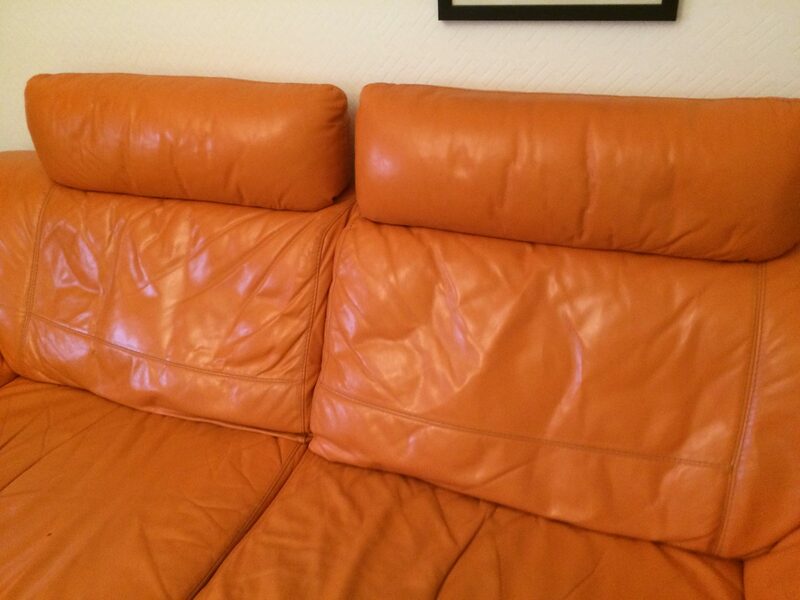 Fantastic job done by Kenny on our suite, looks like a new suite! 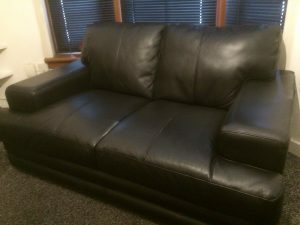 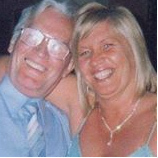 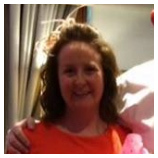 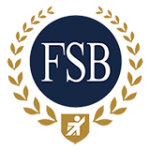 Great service and brilliant price, well worth the money!